Modern artwork should be framed with appropriate materials and aesthetics to keep the focus where it belongs: on the art. 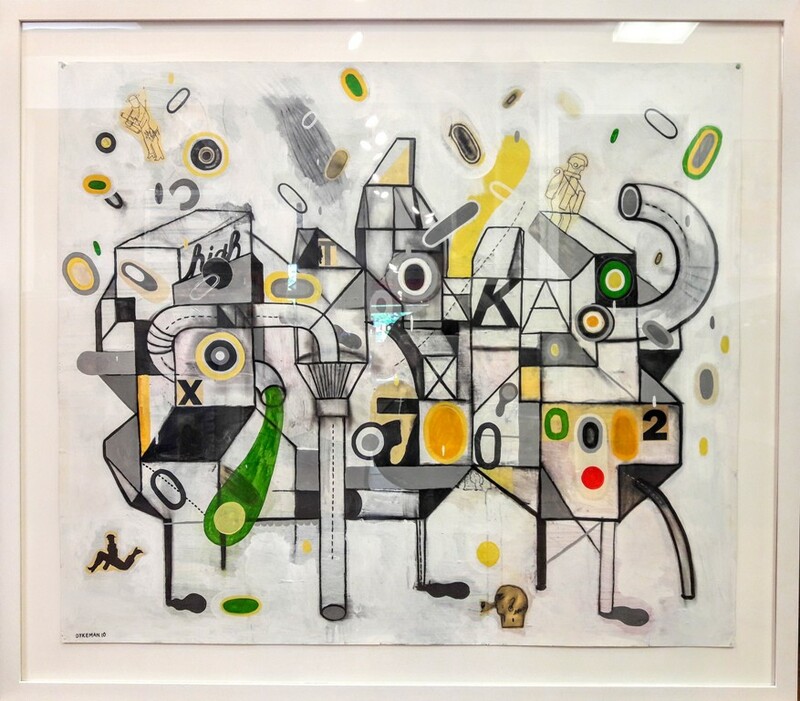 We chose white molding in a cube shape and a wide white mat for this contemporary mixed media work by Warren Dykeman. Float-mounting the art adds dimension and shows clearly that it is an original, not a reproduction. Because of the large scale, we used Conservation Clear Acrylic to protect it from light and dust and decrease the overall weight of the finished product. If the clients move, they can ship or transport the piece with less risk of damage. Original painting on paper by Warren Dykeman.